In 2014, Oakhill School purchased 17 hectares of land in the rural suburb of Welbedacht, which now serves as the Oakhill Sports Campus (OSC). Phase 1 of the development of this land is complete and includes a state-of-the-art water-based Astroturf, as well as hockey, rugby, soccer, cricket and netball fields. 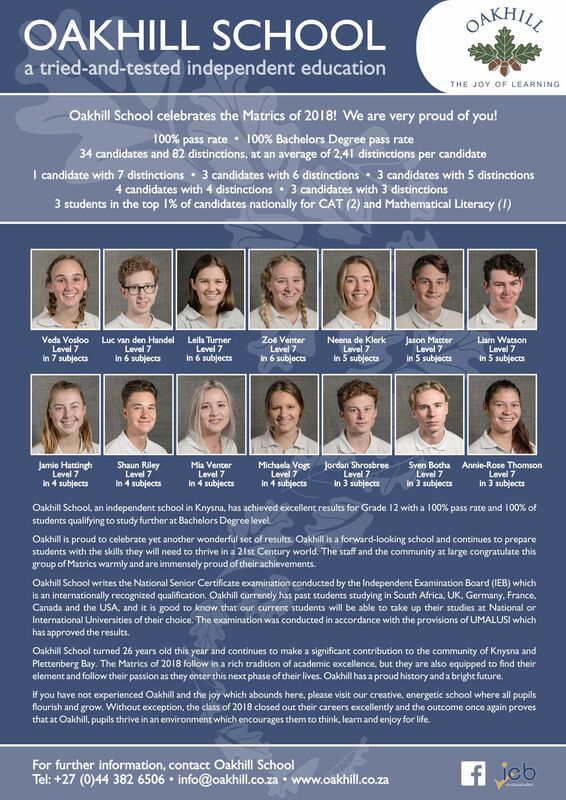 Despite Oakhill’s lack of bigger sports facilities in the past, the school has produced magnificent results against peer schools, with a very high percentage of both Prep and College students representing their Province in various sporting disciplines. 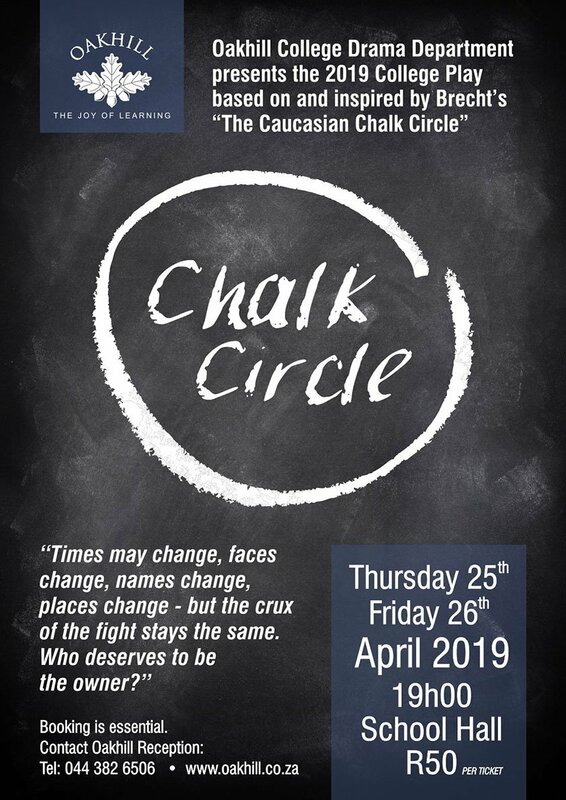 Sam Mvimbi, Kevin Evans, Michelle Eray, Rosie Finn and Mikayla Oliver are some of the past Oakhill students who have achieved their national colours for sport. The OSC facility will allow others to dream of doing the same. Phase 2 of development at the OSC will include the building of a 50m swimming and water polo pool, tennis courts and netball courts. This phase will also include a state-of-the-art indoor facility which will include a gym and indoor cricket nets. 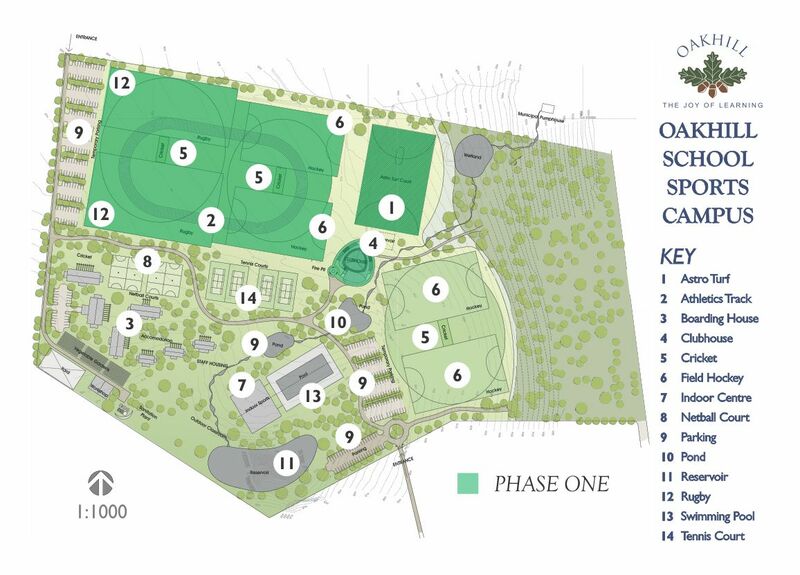 Knysna and Plettenberg Bay are in desperate need of a quality sports facility and Oakhill Sports Campus will certainly attract schools from around the globe to the Garden Route to compete in a range of activities.